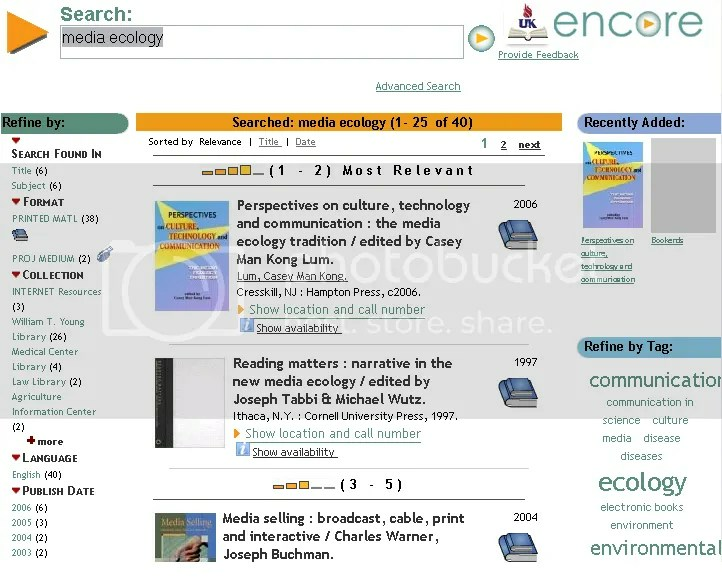 Hopefully, this and other new catalog iterations (such as Aquabrowser or the open-source Endeca) will address the variety of book-centric, effort duplicating, patron-unfocused issues of traditional OPACs cited by K.G. Schneider and countless others. For a comprehensive look at these and other enhanced OPACs take a look at Marshall Breeding’s recent Next-Generation Library Catalogs from ALA TechSource Library Technology Reports.